Home Survivalist Tutorials Bug Out Bag 101 – Building The Ultimate Bug Out Bag Bugout Plan: How Long do Bugout Bags Need to Last? Planning Bugout Bags: How long will survival conditions continue? Most disasters don’t cause generalized survival conditions, bugout bags need to be planned accordingly. Their effects, though severe, are usually dangerous (a matter of life or death) for only a few hours, days at most. It’s mainly disasters that radically change the economic and social environment, which create conditions where survival is difficult for most people and for a long period of time. Sometimes natural causes produce this effect, drought for example, or massive flooding. Mostly, the worst long-term survival disasters are human-caused, for example biological warfare or nuclear attacks. On the other hand, temporary survival conditions are common for most disasters, man-made or natural. Being able to leave a dangerous area and carry everything you need to preserve life, at least for a few days, is a big reason why bugout bags are growing in popularity. 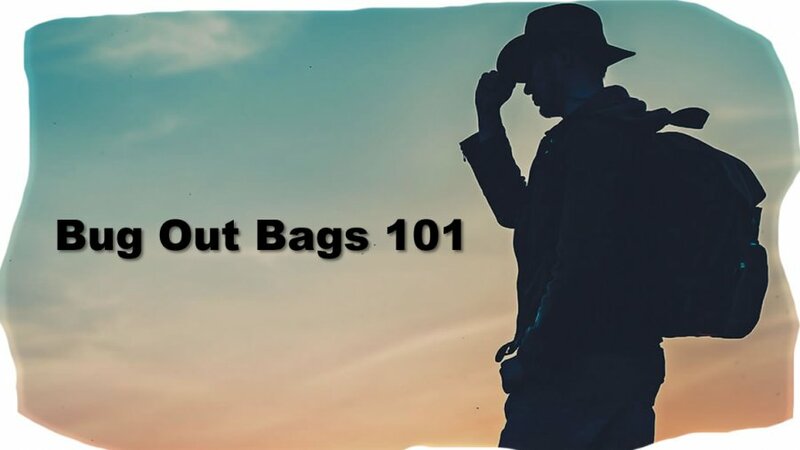 The questions most people have are not whether bugout bags are a good idea or not, but what kind of a bag and how much should it contain. Most of the answer to these questions depends on the type of disaster, how long survival conditions persist, and when people will be able to go home. Flood – There is usually an ebb and flow to floods, mostly over a period of a few days. Returning is usually possible within a week, unless substantial damage has been caused or there is a danger of disease caused by the flood conditions. Earthquake – At the disaster level, earthquakes are violent and do a great deal of damage. However, the area of damage is usually limited. The life or death period of most earthquakes is a few minutes. Return to an earthquake damaged city is usually rapid, a few days; but return to the most damaged areas could take months. Wildfire – The destructive part of wildfires is usually very short, a few days at most. Unless caught unaware, people can usually avoid wildfires, so survival is rarely an issue. People are usually allowed back in their homes (or area) within a week or less. Hurricane – Even slow moving hurricanes are finished in 2-3 days. True survival conditions may persist for 24-36 hours, but rarely longer. There may be flooding and damage that prevents return for several more days, but within a week most people can return home. Tornado – Just about the briefest and most violent of all natural disasters, tornados are on one location for only seconds and most tornados are on the ground (if at all) for a few minutes. If your location isn’t levelled by a tornado, return is almost immediate. However, where there is damage it can take months for recovery. Volcanic eruption – Fortunately volcano eruptions are rare, limited in geography, and while not fully predictable, the danger area is fairly obvious. The volcanic ash clouds are the most dangerous elements, and may cause temporary survival conditions for a day or more. Danger from secondary eruptions may keep people from returning home for some time, up to a couple of weeks, but 3-5 days are more usual. Landslide – Landslides rarely occur on a large scale. Roads, houses and other human property in the path of a landslide are destroyed but unless the weather makes follow-on slides possible, return within a few hours is usual. Tsunami – Tidal waves caused by off-shore earthquakes are not all that common, but can cause heavy damage across a wide area of shoreline. As a rule, once an earthquake occurs, tsunamis are relatively predictable so there is often time to bugout. Survival is most a matter of grabbing a bugout bag and moving to higher ground, usually for less than a week. Since big tsunami cause flooding and severe damage, it can be days or even months before access to affected areas is permitted. Extreme drought – In most cases, it has taken years to produce a condition of extreme drought, and it will probably take years to recover – if ever. Bugging out from a region of extreme drought is essentially a permanent condition. Pandemic – In any one area, most pandemic illnesses are relatively short lived, a few days. Surviving through the initial period of infection requires going where the disease isn’t. As a rule, return with a week or two is possible, providing of course, that the pandemic hasn’t also caused a collapse of social and economic systems. Dirty bomb – the immediate danger is from the initial explosion (usually limited) and the cloud of radiation it creates. The initial bugout period may be only a few hours. Areas affected by the explosion and radiation drift could take weeks if not months to clean up, but may not cover a large geographical area, nor completely disrupt commerce. Nuclear attack – The immediate area of a nuclear explosion will be uninhabitable for months, sometimes years. Typically all commercial and social activity is disrupted for months and may never recover. In short, in a true nuclear attack disaster, bugging out may be practically a permanent condition. If the attacks are widespread, then survival conditions are also permanent. EMP attack – While all electrical and electromechanical devices are inoperable in an area under attack, the damage is physically minimal and most areas will be immediately inhabitable. However, with most machines, vehicles and electronics permanently destroyed, full-recovery from an EMP attack in an affected region could take weeks. Biological warfare – Whether by terrorism or warfare, the use of biological methods produces a dispersal disaster similar to a pandemic, where some areas are affected worse than others. How long such an attack would persist depends on the type of attack – by water, air, contact – and the virulence of the effect. Like a pandemic, the worst could be over in days, the after-effects could go on for months. Economic collapse – Recessions and even depressions are mild forms of economic collapse (mild is a relative term, of course). They usually take months or even a year to fully develop and most people react not by bugging out, but by adjusting their expenses (hunkering down). In a general or global economic collapse, where entire systems no longer function, bugging out almost implies leaving for someplace where you can ride out the collapse, including the almost inevitable social collapse. The bugout bag is mainly valuable to provide survival gear to get you where it’s safe. Political upheaval – When do riots and political upheaval become a matter of life or death? That’s hard to define and predict. Yet it happens. Sometimes it’s a matter of grabbing a bugout bag and leaving an area for a few days, for example when riots are occurring. Other times, it could be a general political change where survival implies going off the grid and becoming untraceable. In this circumstance, like an economic collapse, a bugout bag is primarily useful to help you get to a pre-arranged place of safety for a long-term residence. However many of the above disasters are relevant to where you live and how you feel about practicing survivalist techniques, the bugout bag remains a kind of constant feature because regardless of the emergency, it provides a margin of survival supplies (food, water, shelter, medicine) that’s good to know you have. Adjusting the bag size (i.e. moving into large packs, in most cases) should fit your profile and the serious potential for one or more disasters to occur.